People forget a lot of things routinely. Where are the car keys? Did all that you needed make it to the grocery list? Who packed the razors in the bottom of the luggage? What no one can afford to forget though is their health. OROGOLD like to stress the importance of healthy living when it comes to skin care, but health living ultimately is about taking care of all of your body. September enjoys the status of “Healthy Aging Month” and as a result there is no better time to discuss a few basic tips on just that. No one is young forever, but it doesn’t mean you can’t keep healthy and active for years to come even after you’ve gotten your share of decades worth of memories packed away. One of the most important things you can do for your body is simply eating well. Everyone stresses it for a reason. Diets should be varied and encompass a lot of fruits and vegetables as well as a decent portion of meat. You shouldn’t stress the latter part too much though as you’ll be getting protein from other parts of your diet as well. A varied diet is necessary for getting all that your body needs in the best ways possible. A multivitamin may be good for shoring up any deficiencies in your diet, but it will never be the same as getting all those nutrients straight from the foods. Fresh food are better for you than packaged ones, but as long as you’re cooking your meal from ingredients then you’ll be doing relatively well. Don’t fret if you’re a vegetarian though. Just talk to your doctor about anything you might be missing any ways to supplement them in your diet and you can continue to enjoy both your health and your lifestyle. Aging bodies need exercise too. Keeping active helps keep your body prepared for doing things, and lets you keep healthier amounts of muscle mass. You don’t necessarily need to be sweating it out in the gym like you did when you were younger though. Any activity at all becomes important with age. Walking and jogging are good options for exercise with a relatively low demand on the body. You may wish to consider flexibility based exercise instead. Yoga or Tai chi offer ways to exercise that don’t involve sudden movements, but still provide health benefits thanks to their use of the physical stress of maintaining forms serving as the exercise. 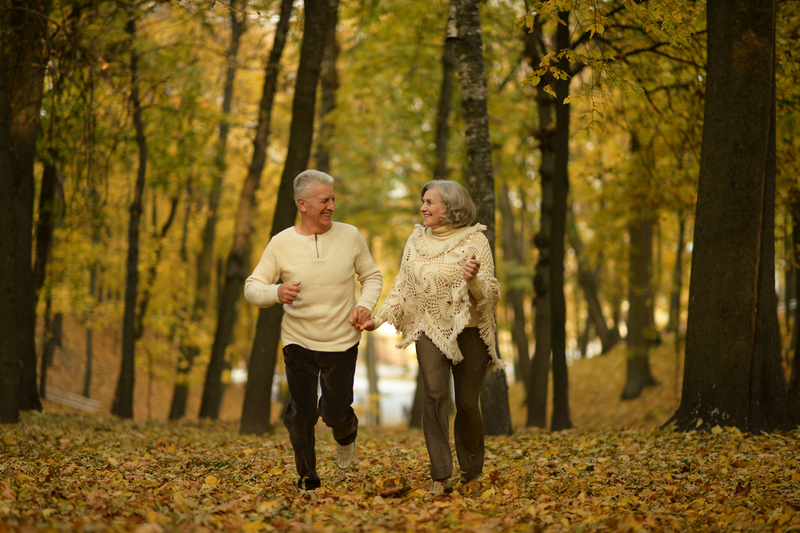 OROGOLD encourages you to discuss exercise options with your doctor as you age. What your body needs will shift as time goes by and some options will be better than others. The unfortunate part of any kind of relationship is that they don’t last forever. Some estimates put interpersonal relationships as lasting around seven to nine years before time simply causes people to stop interacting much at all anymore. This doesn’t mean there won’t be cards around major holidays, but it isn’t quite the same as having a day with friends. We also lose friends to other things as we age. This makes socializing with other particularly important. Humans are social creatures. Even if you’re introverted, you know the feeling you got from a day out with the few people you kept close company with. This makes making and maintaining relationships as we age an important thing. It gives everyone reasons to go out and do things as well as providing a nice boost to mental health by reminding people that others care. These are all general tips on what you can do to age gracefully. Nothing is going to give you back any years, but that shouldn’t be something to look on negatively. You have plenty of memories and more than time enough to make more. OROGOLD suggests consulting with your doctor for more personalized tips on maintaining your health as you age as well. The main thing to remember is that aging in a healthy way is about a commitment to caring for yourself. You can’t give yourself better genes, but you can certainly do the best with what you have.